HOUSTON – A Texas grand jury has cleared a controversial abortionist of criminal charges, even though former assistants of the abortionist testified that he killed newborn babies upon their delivery. The women also shared a story that they had heard from another employee who witnessed a baby survive an abortion. “[The baby] opened up his eyes and grabbed [Karpen’s] hand—his finger,” Rodriguez stated. 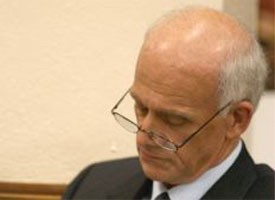 Graphic images of babies Karpen had aborted were also publicized, leading many to question the abortionist’s practices. Others compared Karpen to Philadelphia abortionist Kermit Gosnell, who was sentenced to life in prison for infanticide. According to reports, the evidence against Karpen was provided to Houston prosecutors, which led to an investigation by the Texas Rangers and the Houston Police Department Homicide Division. The investigation culminated in a two-month grand jury presentation. Although the Houston grand jury’s decision was a setback to the pro-life cause, Newman is promising that Operation Rescue will consider further legal action.